Pantone® Colors of the Year Rose Quartz and Serenity – Yes they Exist! Since the Colors of the Year were announced by Pantone, we’ve been trying to create some designs which feature our authentic Murano Glass Beads. And I was having a bit of difficulty with the colors. Then at a girl’s softball practice, there they were – and created by nature for all of us to see. A beautiful setting sun which was shining through our normal San Francisco Bay fog produced exactly the colors. I apologize if my photography doesn’t get it just right. But sitting in the bleachers watching practice, the colors in the sky, simply stunning and even Serene! 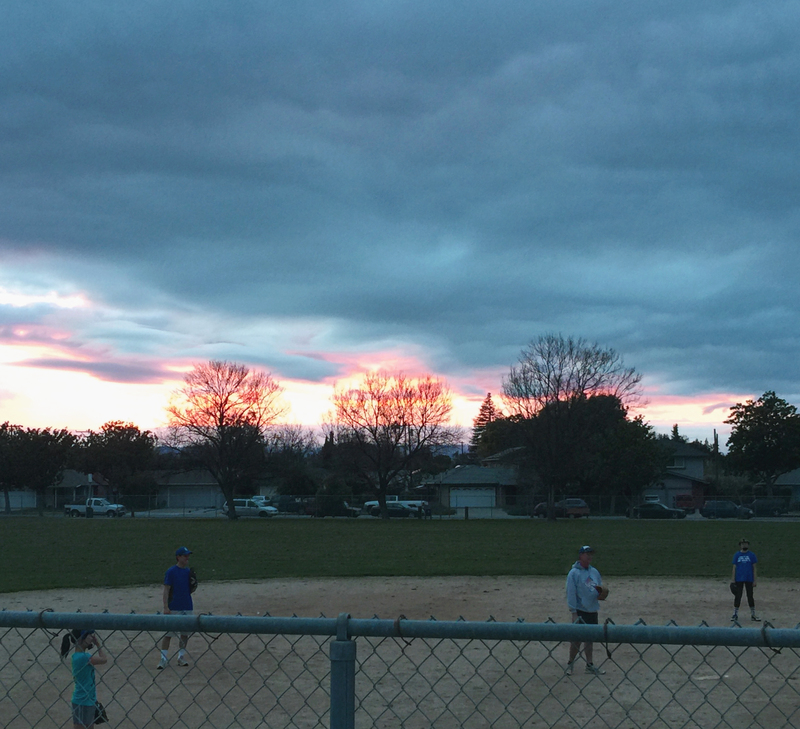 Rose Quartz and Serenity on the SoftBall Field! Without that sunset, I would still be struggling to see how these colors go together. I was thinking “baby shower” pink and blue. So back to the design desk – with new inspiration and appreciation for the knowledge of those talented people at Pantone! Here’s a couple of designs we came up. They are free and each one has instructions as well as the list of components required. Reading about the new Pantone colors a couple of months back, my reaction was that these were my kind of colors!!! I think the reason was the fact that they are the sunset colors. Here in Kansas, we have mostly clear days & our sunsets are beautiful. The sky’s blue & the rose are a wonderful combination. Yes, it just took me longer to see the colors – again this afternoon watching softball practice, they were there again. The colors are growing on me!